Is Bartonville Insane Asylum haunted? 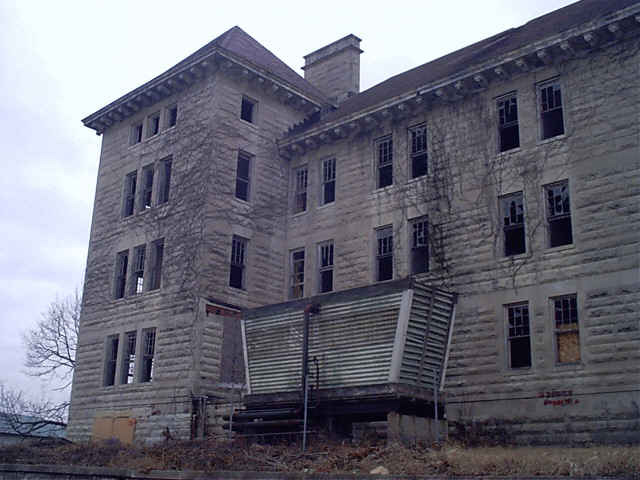 The first buildings of the Bartonville Insane Asylum began in 1885 and were completed in 1887. Upon completion the hospital resembled a medieval castle with battlements and turrets.Despite the huge costs involved in building it, it was never used and was torn down in 1897. The reason for the demolition was given as structural and design flaws. According to early reports, the castle-like building had been constructed over an abandoned coal mine and wide cracks were beginning to appear in the walls. The decay was believed to be caused by the collapsing of the old mine shafts. In 1902, the Bartonville insane asylum was reopened by Dr. George A. Zeller, a pioneer in mental health. The new hospital implemented the "cottage system" and 33 different buildings were used to house patients. Dr. Zeller also realized that a system was needed for the burial of the dead at the hospital, a hospital cemetery was created a short distance away from the building. All of the graves in the cemetery were dug by patients of the hospital and some records show that patients died almost daily. The institution finally closed down in 1972 and has stood vacant until 2008 when the property was purchased by Richard Weiss and was briefly open for ghost investigations and tours before being closed again for asbestos related issues. Many psychics and ghost hunters alike agree the building is haunted, The atmosphere alone is enough to convince someone. A very uneasy feeling is a common experience upon entering the building. The institute is said to be home to a large number of ghosts, a specific number cannot be given but claims suggest at least 15 different ghosts inhabit this location. This is a classic building for the creation of ghosts due to the practices of the hospital when it was open, electric shock therapy and prolonged isolation were common practice. many patients died from suicide and being ill treated. The most common reports of hauntings at this location include seeing the apparitions of patients dressed in gowns slowly walking the halls and rooms of the hospital. unexplainable cold spots are common, as are hearing screams and moans coming from empty rooms in the distance. Also people who have ventured into the asylum have claimed to of been touched by the spirits, with feelings such as a hand being placed on one's shoulder or something gently brushing past as if walking the other way down a corridor. The hospital is now abandoned and trespassers onto the property, as well as those who venture onto the near by cemetery will be arrested.